Croatia. World Philosophy Day. Information stand on the Grand Plaza of Zagreb. Croatia. World Philosophy Day. Information stand on the Grand Plaza of Sarajevo. Croatia. Varazdin, preparation of informational panels for World Philosophy Day. Slovenia. 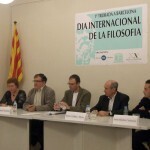 World Philosophy Day: “Philosophy for Living” (lecture). Canada. World Philosophy Day in Montreal. El Salvador. Israeli Embassy stand during the World Philosophy Day celebration at the NA center in San Salvador, El Salvador. El Salvador. Photography contest on tolerance. Organized by NA El Salvador for World Philosophy Day. The photos were exhibited in shopping centres. Germany. World Philosophy Day of UNESCO: “The long night of Philosophy”. Belgium. 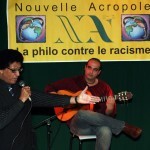 “Philosophy Against Racism.” Seminar organized by NA Belgium for World Philosophy Day. 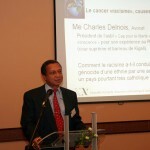 Presentation by Charles Desnois, President of the Association for the Freedom of Conscience. Belgium. World Philosophy Day. Intercultural evening organized by NA Belgium in Brussels: participation by artists from many cultures and sampling of dishes from around the world. Spain. 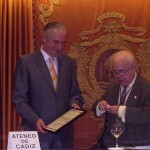 “Why a World Philosophy Day?” Lecture on the occasion of his admission as a member of the Athenaeum of Cadiz, by Javier Saura, Director of New Acropolis in the city. Spain. 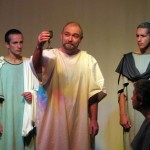 “The Death of Socrates.” Production by members of the NA Barcelona center for World Philosophy Day. Spain. 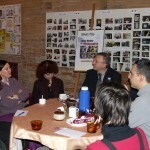 Meeting on World Philosophy Day, at “Friends of UNESCO” in Barcelona. An organization linked with the NA center, with the participation of the Director of NA Barcelona along with university professors Pilar Dellunde, Joan Méndez and Jordi Berrio. France. “What Can Be Done in the Face of Planetary Disturbances?” Debate at the NA center in Toulouse, during World Philosophy Day. Italy. 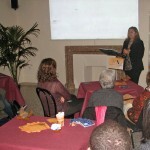 Meeting on the Indian poem “Bhagavad Gita” in L’Aquila (Italy) on World Philosophy Day. Italy. 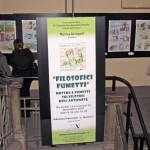 Exhibit of philosophical cartoons at the provincial Library “S. Tommasi” (L’Aquila, Italy) on the occasion of World Philosophy Day. Italy. 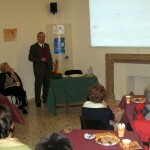 Presentation of the great philosopher Pythagoras during the meeting called: “1, 2, 3… Pythagoras” in L’Aquila (Italy) on the occasion of World Philosophy Day. Portugal. “The message of classic philosophy”. 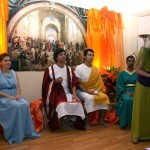 A play performed at the Lisbon NA center during World Philosophy Day.